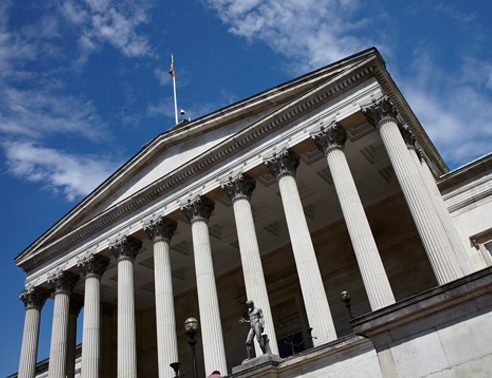 As you will be aware, UCL is one of 61 universities across the UK currently experiencing some disruption to classes as a result of planned industrial action. With 14 days of industrial action planned in total, here are the answers to some frequently asked questions with regards to your attendance, assessment and exams during this period. If my classes are going ahead as usual but I choose not to attend in support of staff taking part in industrial action, will I be marked absent? Yes, we would expect all students to attend classes where they are running. Non-attendance will be recorded as absence. If I choose not to attend class during this period and therefore fall below the 70% attendance requirement in certain modules, will I be barred from assessment? This will be considered on a case-by-case basis. UCL will take into consideration the reasons for absence and whether your attendance falls significantly below the 70% threshold. I am a Tier 4 visa student - will I be penalised for not attending classes? If you are a student on a Tier 4 visa, you will not be penalised if you are unable to attend classes that have been cancelled due to the strike action. We will assume that you are engaged with your studies in other ways if your classes are not running. What will happen about examinations and results? UCL knows about the classes that have been cancelled due to the industrial action and will take this into account either in the exam paper that we set for you or when considering your marks to ensure that no student is disadvantaged in assessment or examinations by the change. Our examination boards have procedures that they can use to make these decisions. We have also set up a Task Group to deal with more complex questions from the examination boards and to ensure that we take a consistent approach across UCL. Please note, you do not need to submit an extenuating circumstances form on the impact of the industrial action. Your department will advise you on arrangements for coursework assessment. These will vary from no change through to extensions to allow more time for you to submit the work. What about labs that I have missed and in-class tests? Your department will advise you on whether your labs or in-class tests will be rearranged to take place on a non-strike day, or whether they will be cancelled. If your lab was to be assessed or you had an in-class test and these cannot be rescheduled, we will discount these components from your overall module mark, in line with our regulations, so that you are not penalised as a result of the cancellation. Do I need to submit an extenuating circumstances form? You do not need to submit an extenuating circumstances form as we have information about the impact of the strike on your classes. Will my degree be devalued if I missed some of my teaching and in-class assessments? Please bear in mind that the teaching, learning and assessment for your programme of study takes place in a range of different ways, not just in the classroom. You can use your reading list and online materials as usual to ensure that you continue to have a wider learning experience. If you have any other questions that you would like to ask about the industrial action and its impact, please speak to staff in your local departmental who may be able to help. Alternatively, contact srs@ucl.ac.uk.